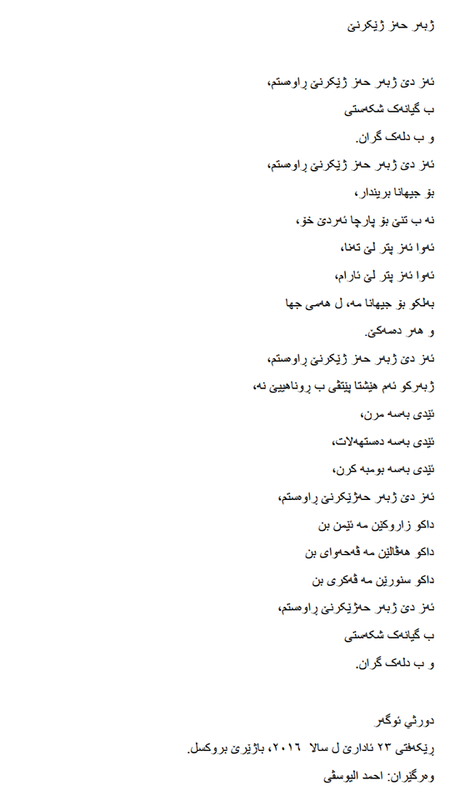 This poem resonates with many and has been translated in more than 65 languages by people who wanted to express their solidarity and love and who wanted to see the poem reach as many people as possible. Others have provided a song version of the poem or a calligraphic rendering. Here they are for you to use freely, not-for-profit, with due credit to the authors – except when otherwise specified. 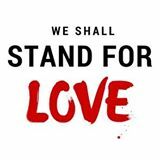 The Facebook page with all the language versions : We Shall Stand for Love as well as the story and context of the poem. Mona A. Ahdab’s composition for the concert “Vers une Mélodie Universelle”, with Martine Reyners, soprano and Patrick Kabongo, tenor, starts at min 9:08, Copyright on the music. An Hungarian version of the song by Kristóf Sánta. Er mettre fin aux guerres. Pour que nos frontières s’ouvrent. Ainda que com o coração pesado. Para que nossas fronteiras estejam abertas. incluso con peso en el corazón. para que nuestras fronteras estén abiertas. Fins i tot amb el cor adolorit. Perquè el món està ferit. On em sento força bé. Sinó també en el nostre món, Arreu. Per tal que les nostres fronteres romanguin obertes. Brussel.les, 23 de març de 2016. Traduït al català per na Nur Garriga. Bahkan dengan berat hati . Tidak ada lagi bom . Sehingga perbatasan kita terbuka .